£100.00 Non refundable deposit is required to take a booking. 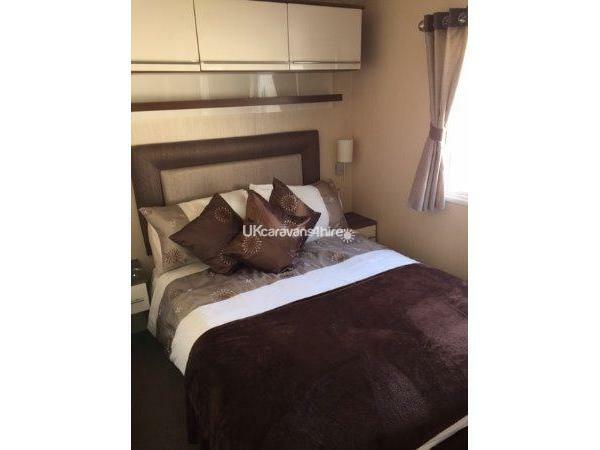 Full name and address including contact details of the hirer plus the number of occupant's staying. An additional £100 refundable damage deposit will be added to the final payment but is returned within 5 days of you vacating caravan as long as no damages have occurred. Payment in full 3 weeks prior to the booked dates. The caravan owner has the right to withdraw bookings made and if a deposit has been placed then a full refund will be applicable. Strictly no Hen Parties ,Stag events. This is a holiday home and not to be linked to any other type of other accommodation. Full name, inclusive of an address and postcode to suit plus the number of people that we are accommodating at the caravan. Very tranquil and picturesque setting in every way. Ideal opportunity to relax in the quiet surroundings of Loch Earn. 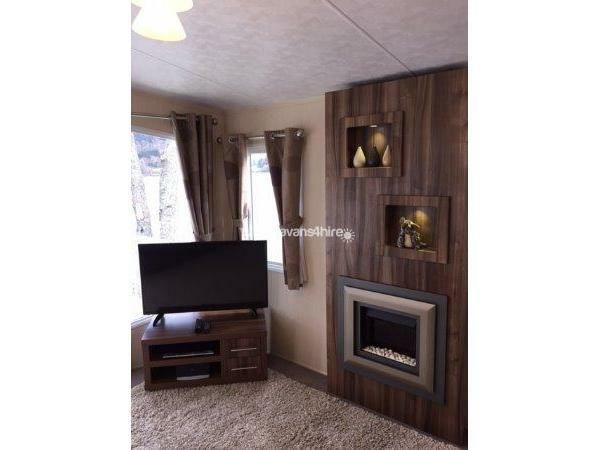 The caravan is kitted out to the highest standard with three bedrooms to the rear of the caravan and another double bed to the front. 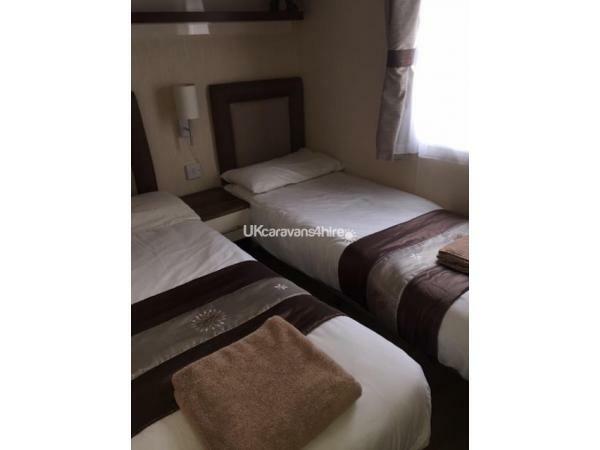 The caravan comes with all the luxury items you would expect from a 5 star retreat, In conjunction with that you have unlimited use of FREE BT WIFI. This luxury holiday home is three bedrooms family owned lodge has everything you will need for a memorable holiday. Bookings are direct through the owner and you will not find it available to book with any other companies (Third Party). You will find it is immaculate and will not be disappointed as it is cleaned and maintained privately and will be checked before handing over. If you are looking for that luxurious holiday then this is the one for you , this specific let has central heating and is double glazed which is Paramount for early Spring & late Autumn. No1 has lots of home to home features ,it has a wonderfully welcoming ambience as soon as you step inside. The space has been divided into two parts with living room, kitchen and dining area all open planned. A £100 non returnable deposit will secure any break .Final payment has to be made in full 3 weeks prior to the start of the holiday. An additional £100 refundable damage deposit will be added to the final payment but is returned within 5 days of you vacating caravan as long as no damages have been sustained. Additional Info: Restaurant / public house serving delicious home cooked food, well stocked & maintained Shop for all your essentials , Fishing Permits available , Boat Launch facilities. OPENING late Season On the site of the former steading building will be a fully constructed complex which will include a new bar, restaurant, fitness suite and children’s play area.... Watch this space!! Mrs Baird, you a quick off the mark in sending in your review so thank you for being so efficient as you have been since we first engaged , I am pleased everything was to your liking especially with the positive comments you shared. We do hope to hear from you soon and have a safe homeward travel back. I was here for a week for October break and had an amazing time. The caravan is superb and the location is breath taking. The owner Mr Shewan's customer service is spot on. I have stayed in a fair amount of caravans in the past but this one is up there at number 1, it had everything you could ask for. Anyone reading this don't hesitate you won't be disappointed with anything. The weather was quite kind to us considering it was october, great for walks and seeing the deers, the summer months would be awesome, food at the bar was delicious also. Would go back in a heartbeat. Thank you for sharing your second home. Karen, my sincere apologies for not responding as I have only noticed this very minute that I have not replied as I pride myself in being re-active to all the comments we receive. Thank you very much for your extremely kind and positive comments as it is overwhelming to say the least... we look forward to the possibility of having you return for another season and my apologies once again for the very much delayed response. Site no 1 is arguably the best plot on the site. 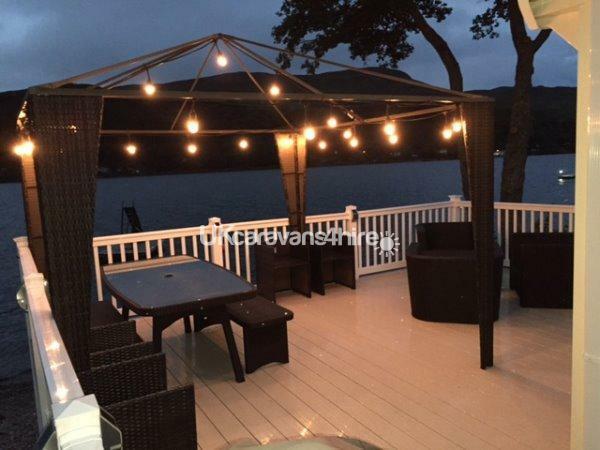 The wrap around veranda with bbq seating area allows you to take full advantage of the magnificent views of the loch & hills. Inside, the caravan has home-from-home facilities. The kids loved it and we hope to return. Thanks. Derek, good afternoon and thank you for taking the time to submit a good review. we look forward to having you stay with us once again. The location is superb overlooking the loch and the scenery is amazing. With 6 of us we didn't feel too cramped and the kids had great fun exploring the caravan site etc. Great golf course 1 mile away and a superb cycle track across the water taking you into Comrie and interesting walks in all directions. Make sue you take plenty food etc. you need as the shop isn't well stocked although there's a Co-op in Comrie 5 miles away. The facilities in the caravan were perfect and great to have Wi-fi. We will be back again. Ronnie thank you for taking the time to compile a good review , much appreciated, as previously highlighted in other reviews we do try to make your stay as memorable and comfortable as possible and we look forward to having you stay with us in the very near future. Thank you once again for the valued custom. Jane, thank you for taking the time to compile and submit a great review so thank you, the 30 reviews we have received have been overwhelming to be honest and its feedback like this that makes it all worth while. We look forward to having you and your family back in the very near future. Thank you once again for your valued custom. After spending a weekend here with friends in October 2017, I booked this weekend for my family of 5 adults and 3 children. Fantastic site for watersports, private pontoon with slide went down a treat with the boys. If I could I would have put + After every 10 rating scored. Will definitely be rebooking for 2019. Joan thank you for that, I really appreciate It and to think possibly a 10 plus.... for ratings I am glad to see you and your family had a good time. Look forward to seeing you in 2019. Take care Joan. Amazing amazing amazing!!!! Shuggies service is amazing too. Caravan is fab and ace location, we hit the jackpot with weather too- sat out on the decking playing cards most of the weekend was fab. Can't wait for next year! Hayley thank you for compiling and submitting a good review. Cards ? Gambling ? I am afraid I do not hold a gaming licence for NO1. Joking apart it was our pleasure having you staying with us once again... also I appreciate the "stash" of goodies you left in the Shed.... until the next time and thank you. Kim Thank you for the great review, we really do appreciate it. We do try us best to give you a great experience all round even down to supplying the hand gel! We hope to see you and the family once again. Thank you once again for your valued custom. Craig thank you so much for the response and your positive comments , I must admit I was a bit worried that I was not meeting my Customer expectations but going by you positive comments this would appear so thank you once again for baring with me and we look forward to serving you once again. Thank you sir. Second year in this van , amazing location on the water , kids love the water and fishing , thanks again . Craig, good afternoon and thank you for the review, please can you advise on the accommodation and why the reduced ratings as I am keen to improve the overall experience from start to finish. Please advise if there is something I can do to improve on and I will certainly do me best for the next time you return. Look forward to hearing from you. Can't fault this caravan or the site, we had a fantastic weekend and wouldn't hesitate to book this again. Graham was on the ball with communications, payment and refunds and a pleasure to deal with.. We will deffo look forward to coming back again.. book this caravan you won't be disappointed !! Good evening Alan and thank you for positive comments as it goes along way. We do try to make the whole experience as painless as possible as after all it is your holiday. Communication is key in all businesses and it costs nothing to reply in a timely manner. We look forward to seeing you return in the very near future and thank you once again for your valued custom. Speak soon Alan. 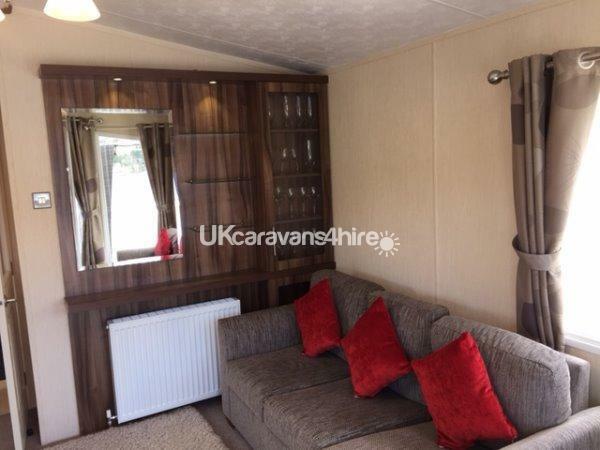 Love this Caravan,really is the best on the site. Have been a few times now and it never disappoints. Everything is provided. The view is outstanding from the large decking. Graham is really good to deal with and responds quickly. Had my whole family on the last stay for my retirement left me with lovely memories. Netflix and Wi-fi provided if the weather is bad. BBQ if it’s good weather. Would return anytime. Thanks for a good holiday Graham. We had a great two weeks at the Caravan. 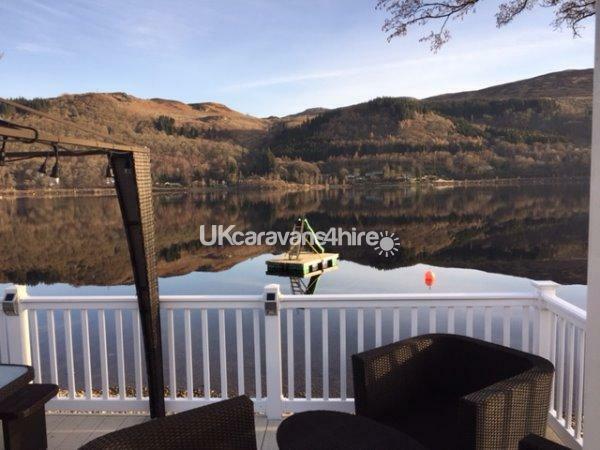 We have stayed on the site before and love the site's position by the Loch, but when we arrived and found where our Caravan was, we couldn't believe it, this Caravan is exceptional. It is very clean, has amazing facilities, (Wi-Fi, Netflix etc) and is right by the Loch, with amazing views. We had many BBQ's and spent a lot of time on the decking. Graham was so helpful and easy to deal with all the way through, right from our first enquiry, until we returned home. Thank you so much, we have recommended the Caravan to some friends and we will be back. Andy, thank you for allocating the time to compile a god review, I am happy to hear you all had a good time and the location of the caravan was to your liking along with the facilities we have. Thank you also for your kind comments with regards to being " easy to deal with" as like all the customers we have had over the last 2 years we try as much as possible to exceed Customers expectations and give them something more than others offer. Communication is vital as after all this is your holiday. Look forward to hearing from you in the very near future. Stayed here with my husband and 4 other family members, beginning of May 2018. Having read previous reviews I had high expectations for the caravan. I was not disappointed in any way. The caravan was immaculate with the most amazing views of Loch Earn. The decking area was lovely with really comfy seating and a fantastic BBQ. We all thoroughly enjoyed our stay here and cant wait to return. Graham (owner) was great to deal with too. All in all fantastic holiday home!! Imogen , good afternoon and thank you for the taking the time to submit a great review as its very much appreciated. As per my previous we do try and make your stay as comfortable as possible and try and think of all eventualities to enable you to relax. Please feel rest assured there will be a pasta casserole in place for your return visit. Thank you once again for the great review and your valued custom. 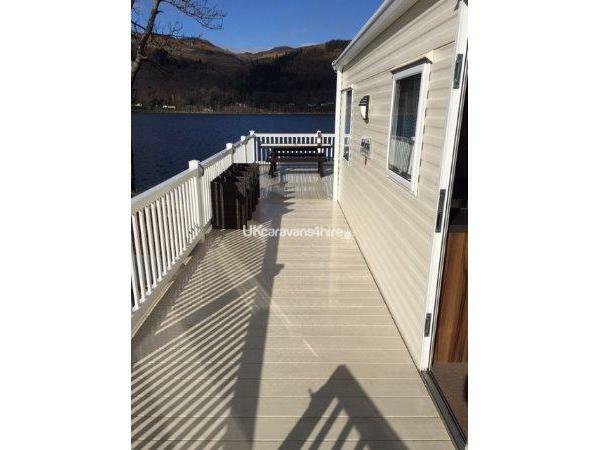 Having just enjoyed a family holiday must comment on the beautiful caravan and the lovely relaxing location at loch earn and to thank graham for all his outstanding help with all enquiries everything was made so easy to do and was no problem cant wait to return for another stay thankyou again graham. Maureen thank you for taking the time to compile a great review and your kind comments as we are very appreciative of this. You and your family are more than welcome to return to NO1 , I just hope its a bit warmer when you return as it can get cold in April, granted the scenery is lovely though. Thank you once again Maureen. Deborah, thank you once again for your valued Custom and the great review you have posted, its a pleasure having you and your family there and we look forward to seeing you again in the very near future, as for the Grater there will be a slight rental hire for that for the duration of your stay but I have sure we can arrange something.! Joke! On a Serious note we are very appreciative of your kind comments. Have stayed on two occassions this year- had the best time!!!!!! Amazing caravan, wish could stay forever- weekend isn’t long enough when there. So clean and beautifully decorated. Gorgeous view to sit out with a wine even in the cold days. Can not recommend enough, the owner cannot be helpful enough either!!! Can’t wait to go back next year. We stayed in the caravan for a weekend and it was superb. The position on the water front made it ideal when our 4 year old grandson came to stay as there were no roads to cross for him to feed the ducks and play at the waters edge. The caravan was lovely and well equipped with WiFi. The views and decking was the best. Probably the best site on the whole caravan site. Just returned from an amazing break at Loch Earn. To say we were impressed was an understatement! From booking to leaving we have had an excellent experience. Graham is always professional and makes everything easy- going above and beyond. The van is 5*- clean, comfortable and well equipped. The deck and views are incredible! Our kids lived in their wet suits and were able to run in and out of the water for a swim as often as they liked. Everything you need is readily available, including toilet rolls, tea/coffee, wifi, Netflix, bedding and towels. The only thing I couldn't find that I needed was a cheese grater ;) We ran out of gas, no sooner had we told Graham- a guy with two new bottles arrived and installed them- amazing service! We will be back- many times!! Saint Fillans and Crieff are stunning with so much to do! First, the caravan. It is fantastic, the photos don't do it justice. Luxurious, clean, comfortable and the most well equipped van I have ever been in bar none! Probably the best pitch on the site too, right on the water side with only one van on one side which made the most of the stunning views. Second, the site. It was much bigger that I anticipated but well set out, handy shop, laundry, play area for the kids and the pub/restaurant. It was quiet as most of the schools were back but what a beautiful location. Some very good attractions nearby especially Auchingarrich Wildelife Centre. Take a picnic! It was a lovely break and it has been a pleasure dealing with Graham who has been great. Mary, Thank you for taking the time to compile and submit a great review, we have been very fortunate with the feedback to date and is something to bench mark us against for next year. As you mentioned in your review the location and the views are stunning and we are very fortunate to have it and market it for rent. We look forward to the possibility of accommodating you in the very near future. We are a family of 5 with 3 young children and have never stayed at loch earn before. The van was immaculate on arrival and was every bit as good as the photos. The site is peaceful and the location of the van is amazing... right on the waters edge. I cant compliment the van and its location enough truly recommend it! There is a small shop on site that have your everyday essentials and a lounge/bar restaurant which is open most evenings (the food is lovely). Graham himself has been a pleasure to deal with in organizing my family holiday this year! We stayed here on the 24th June for a week. On arrival we found the caravan to be immaculately clean and with all the essentials for our stay. We had a mix of weather during our stay so dvds and Netflix provided were a God send but on good days we were out fishing or walking and Billy even braved the freezing water to take our oldest son out to the pontoon slide. Over all we had a great stay and I'm sure we will return at some point in the future. My friend and I stayed for two nights with our four kids age ranging from 8 to 14. Everyone had a brilliant time. Caravan has everything you could posssibly need. Kitchen cleaning products, hand wash, toilet rolls were supplied, no need to bring your own. They even had midge repellent. Graham has been easy to deal with, taking time to respond to any questions I had. Would recommend to anyone wanting to stay in the area. Hope to be back soon. We can't rate this lovely caravan highly enough! From the outset, Graham was swift to respond to our enquiry and flexible with our requirements. A comprehensive information pack is emailed prior to arrival. As Graham and his family use this caravan regularly, it has everything you could possibly need. We found the caravan to be spotlessly clean and of a high standard. It is comfortable and of a generous size, sleeping up to 8. We stayed 3 weeks in total and on the occasion we had up to 7 in the caravan it remained roomy. 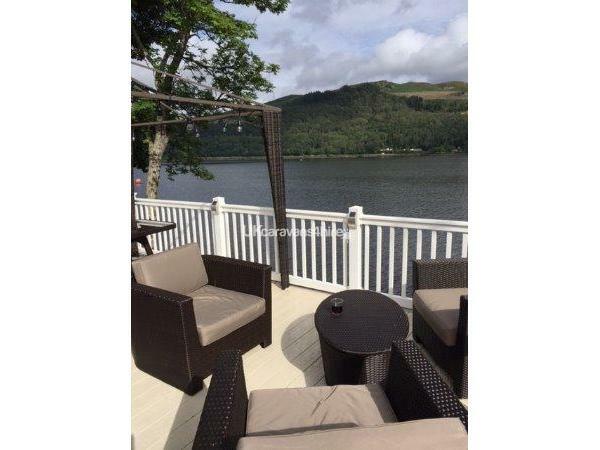 The outdoor decking area overlooking Loch Earn is fantastic! Just come prepared for a battle with the midges!! Our boys enjoyed a spot of fishing on the loch (permits can be bought from the onsite shop or the village shop in St Fillans). They did catch!! We ran out of gas once during the 3 weeks and a quick email to Graham got this sorted immediately. 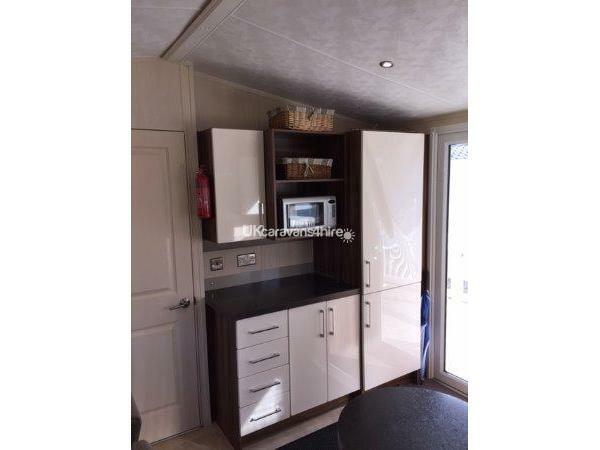 A fab caravan, set in a beautiful location and customer service that was second to none! Graham it was a pleasure and we will most definitely be back! Thank you!! 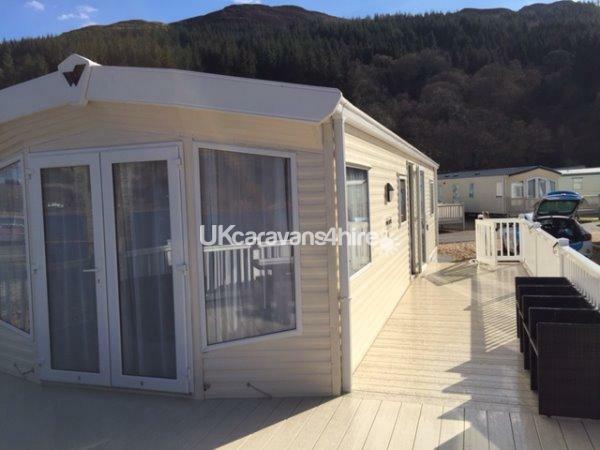 Just returned from a holiday in this beautiful caravan which is situated right at the lochs edge. It has everything you need and more supplied and is spotlessly clean. It is very cosy and comfortable. We were fortunate with the weather and it was lovely to sit out on the decking having breakfast with such beautiful scenery. It is so peaceful . Kids can have a ball here swimming in the loch and Grahame the owner even has a pontoon with a slide on it for the kids. There are lovely places to visit round about. Graham the owner goes above and beyond to make sure you enjoy your stay. I would highly recommend a break here. Isabel & Alan, Thank you for having the courtesy in taking the time to give us a fantastic review, your feedback and comments are overwhelming .You have been a delight to deal with in more ways than one and you are always bubbly to a TEE I just feel sorry for Alan. If I can be of any further interest in the very near future I would welcome the opportunity in accommodating you and Alan again. I wish you both all the best for the future and the pleasure has been all mine. Thank you once again. Great break. Good weather. Stunning caravan. Great views. All facilities on site. Really enjoyed our stay, so much so we have booked again for this weekend. Communication was excellent. Couldn't have been more helpful or friendly. 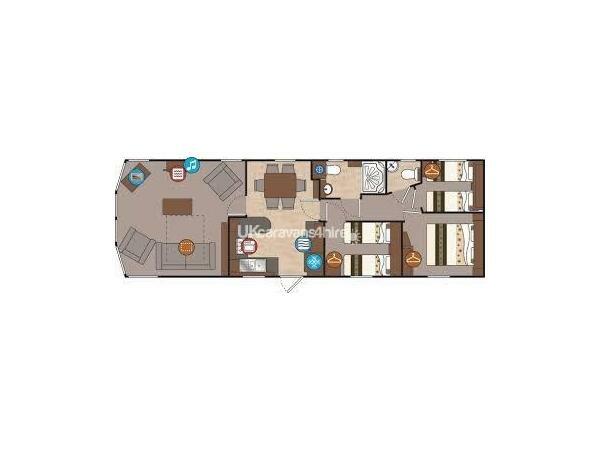 Absolutely stunning high quality caravan with everything you could possibly need for a great peaceful getaway. The owner Mr Shewan could not be more helpful and has been an absolute pleasure to deal with. Even with the weather being a bit on the chilly side we still had plenty to do to keep my 2 children aged 5 and 9 busy. The pontoon directly in front of the caravan was a massive hit as was the bbq in the rain. Thank you so much and will definately look forward to returning in the summer. 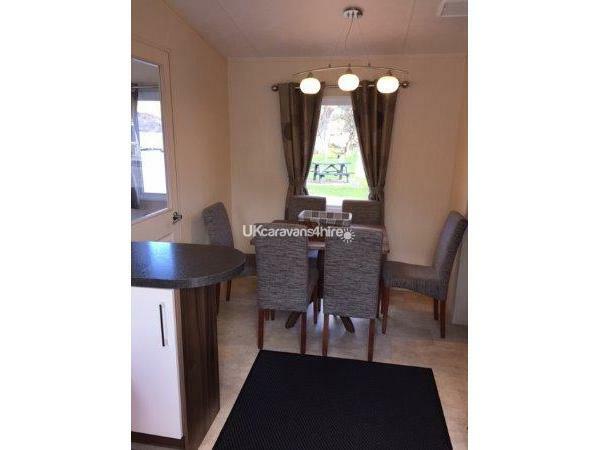 This is a lovely high standard of caravan, in an excellent peaceful location - perfect for a quiet break away. I cannot fault anything about the caravan OR the owner - Mr Shewan's customer service is excellent. He's very helpful, replies promptly to any enquiries about the caravan or park. The park is basic - it has a shop (we never used it), a bar (at the top of a very steep climb, for those with poor mobility, take a car) that serves nice meals but only opens part-time days when the season is quiet.We will definitely be returning! Lisa, Good afternoon and thank your positive feedback with your kind comments , greatly appreciated. You were our first client and to be honest its been our pleasure being able to accommodate you not only with your prompt payment but you are also a pleasure to deal with in all the email correspondence's we have had to date. Look forward to being of further assistance in the very near future. Lisa thank you.